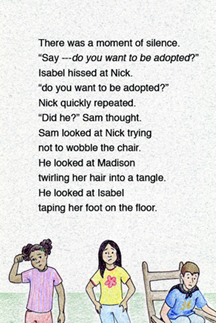 Sam is the only kid in his neighborhood...until Madison, Nick and Isabel move in! Madison's creative, Nick has energy to spare, and Isabel gets them all organized. Everything's perfect until the friends decide to form a club, and Sam is left out. Will Sam be invited to join the club? Will the four friends play together again? Read The Forever Friends Club to find out! It's a story about adoption, belonging, and what it means to be a friend. Anyone and everyone who has ever felt left out or a little bit different from the crowd. This book shares the adoption process from kids’ point-of-view but at its heart is really a story about kids getting along and creatively solving their own problems. Why did we need to tell this story? 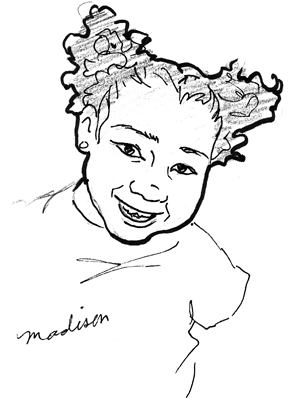 Adopted children come from everywhere and are woven into the fabric of American life. Yet there are few books that tell their stories and help them to resolve the specific issues they face. A Forever Family is a family that chooses to belong together. All families are forever families however many families with adopted members like to use this term to help define their connectedness and lifelong commitment to each other. Sarah P. Gibson is the mother of two children, one of whom is adopted from the Ukraine. She met co-author Sue Gainor when they both lived in Oman where Sue organized an adoption support group. For more information see the Author Information section of this website. Sue Gainor is a mother of two boys, one of whom is adopted from Russia. She is the Chair of the National Board of Directors for FRUA (Families for Russian and Ukrainian Adoption) and for the past four years, served as the Editor-in-Chief of their newsletter. When not pursuing adoption and writing interests, she works for the Department of Defense as a foreign affairs policy analyst specializing in Europe and the Middle East.